Heysen Trail sheet map 5, covers the Mid North from Spalding to Wirrabara Forest. 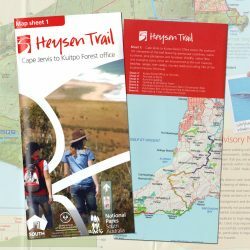 The map sheet includes 4 detailed 1:50 000 topographic maps of the sections of the Heysen Trail covered by this map sheet. 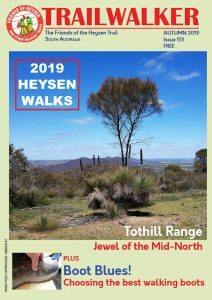 From time to time sections of the Heysen Trail are re-routed due to forestry operations, bushfires or trail upgrades. 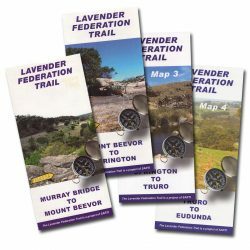 View and print relevant re-routes for your guidebook edition on our Re-Routes page. 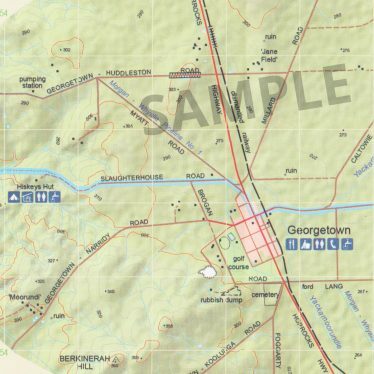 The guidebooks only provide basic details of campsites, including icons of facilities. From time to time campsites are upgraded, or moved, or new campsites are created. These will be noted on our Re-Routes page. 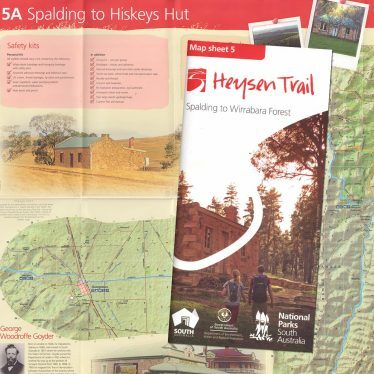 Detailed information about campsites, including photos, facilities, fees, access and feedback is available on our Huts & Camping page. 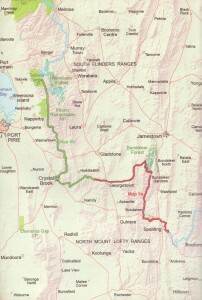 The guidebooks only provide an overall distance of a chapter, and sometimes smaller hikes. 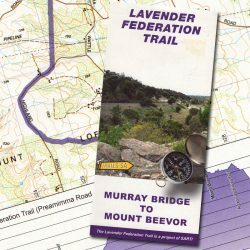 Detailed tables of distances between campsites is available on Trail Distances page. The guidebooks list basic town facilities. Detailed town facilities including internet access, supermarkets, general stores and medical services are available from our Service Directory page. The guidebooks do not list bus services. Details of bus services, how often they operate and contact details are available on our Transport & Buses page. 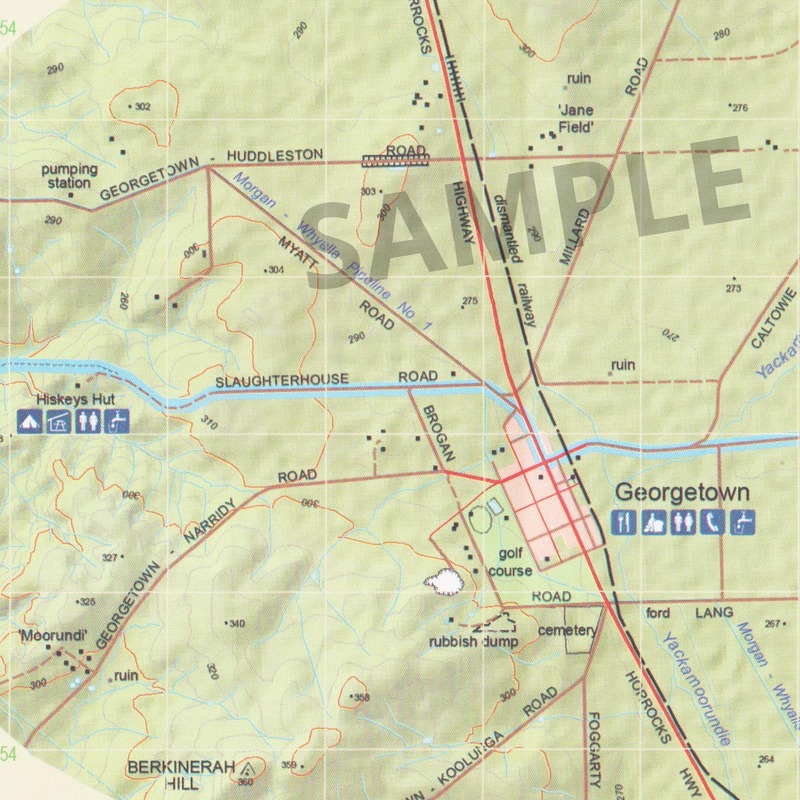 Files that can be downloaded onto a handheld GPS unit are available on our Maps & GPS page. 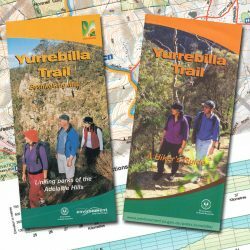 We recommend hikers carry the official guidebook maps when hiking the trail. 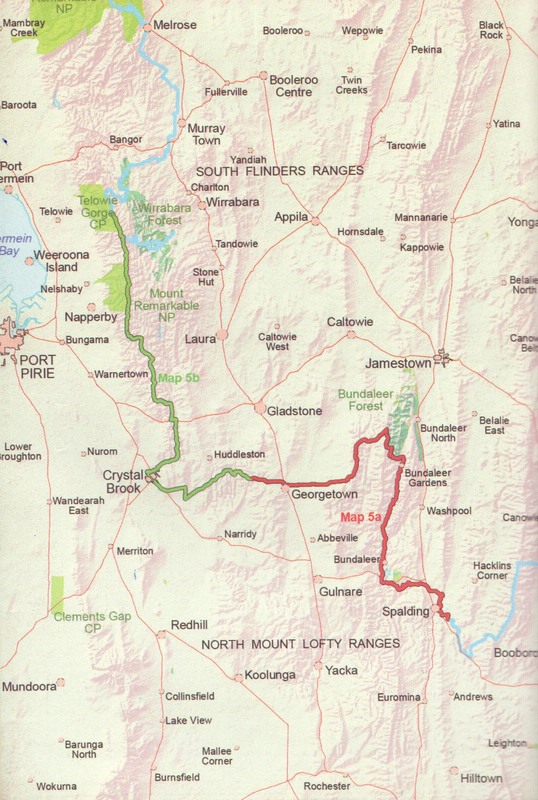 Goods can be delivered throughout Australia and internationally. We use Australia Post to deliver packages, and they have access to 328 million delivery points worldwide. If an order is placed directly in our physical store (rather than our online store), or via phone, other methods of delivery may be negotiable. Orders will be despatched within 3 working days and delivery will be made through Australia Post. During the checkout process you will be provided with delivery options such as normal and express delivery. Refer to the Australia Post's Domestic Letters for more delivery locations and times. Refer to Australia Post's Parcel Delivery for more delivery locations and times. The Express Post network covers 80% of Australian business addresses, private addresses and post office boxes. If your item is for an address outside this network, Australia Post will use the fastest possible transport links, but it won't be covered by their Next Day Guarantee. Refer to Australia Post's Express Post Delivery for more delivery locations and times. To get an estimate of delivery times for international parcels, visit Australia Post's International Post Guide. Delivery costs are based upon Australia Post charges. On the cart or checkout page there is a Shipping Calculator. If your package is not delivered within the above timeframes you should contact us. To get the estimated delivery cost for this item (quantity 1) enter your delivery address details below. We abide by the Australian Consumer Law, a national law introduced on 1 January 2011 covering all Australian shoppers, regardless of state or territory. By knowing your rights you can make informed choices and demand quality products and services. We take steps to encrypt information transmitted between our website servers and your browser. We value your right to privacy and take measures to protect personal information we may hold about you. Read more about how we treat your information.